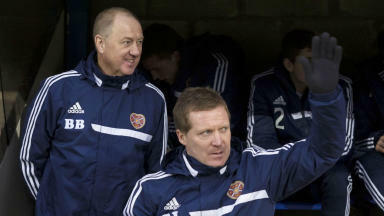 Assistant manager stays until March as Hearts aim to strengthen their squad. 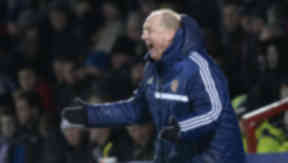 Hearts assistant manager Billy Brown will be in the dugout for the League Cup semi-final after being offered a one month extension to his contract. Gary Locke's number two was due to leave Tynecastle when his short-term deal ended on Friday, but he will now remain with the club for another 28 days. That means he will still be by Locke's side when they face Inverness at Easter Road on Sunday. Brown had been previously been told his services were no longer required as BDO looked to cut more costs as they wait on word from Lithuania to bring the capital club out of administration. Meanwhile Hearts could strengthen their squad over the next week by applying to the SPFL to register players on a "one out, one in" basis. STV understands that the imminent departure of 18-year-old midfielder Adam King to Swansea will lead to an application to register a player under the age of 21, who could then feature in Sunday's semi-final. Hearts are under an SFA embargo that prevents them from registering players over the age of 21 until Saturday, February 1. The soonest they could register an 'overage' player would be Monday, February 3. The club is also looking to sign Rudi Skacel for a third time, with goalkeeping coach Alan Combe cancelling his player registration to free up a place and allow Hearts to apply for the 34-year-old Czech to play. Skacel has not played a competitive game since leaving Slavia Prague in May, but has been training with Hearts since the turn of the year. Any decision to allow Hearts to register a player whilst they are still in administration will be at the discretion of the SPFL board.